UiT has developed a series of Word templates to make life easier for its students and employees. There are templates for student assignments, reports, letters, doctoral theses and more. This page shows you how to access templates from UiT computers and when you are working at home. 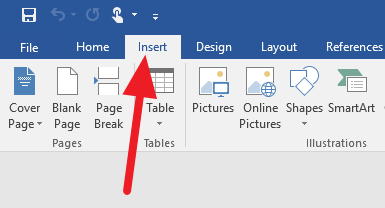 If you are using a UiT PC, you can access the templates from directly within Word. You will, of course, have to be logged on to the PC with your UiT username and password. As of 16 August 2016 the templates are not available on UiT Macs. Using these templates will save you tons of time. The templates include headings, page numbers and tutorials about how to work smarter and more effectively. If you are starting to write a new document, these are the templates you will use. If Word is already open, click File and then New. 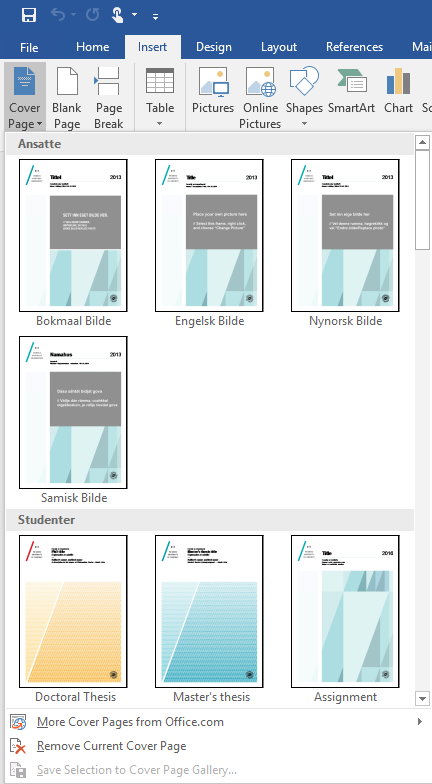 Choose which language you want the template to be in: UiT maler bokmål, UiT maler nynorsk or UiT templates English. Choose a template. Students will most likely use the template Student assignment. 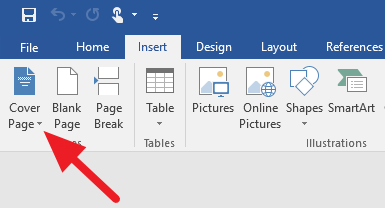 If you have already written your document, you can add a UiT cover page. Click on Insert in the tools menu. Choose an appropriate cover page. There is a group of cover pages for employees (Ansatte) and another for students (Studenter). Employees can access templates for letters, minutes, etc directly in ephorte. If you are working at home and need a template, you can download it from UiTs website. The page Grafisk profil is designed for employees. 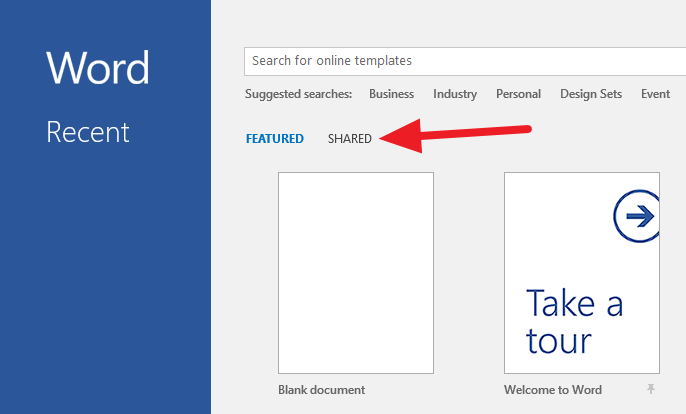 This is where employees can access Word, Powerpoint and InDesign templates. The page Assignment templates is designed for students. This is where students find templates for assignments, Master's theses and doctoral theses. Watch these instructional videos about how you can work smarter in Word. As of 16 August 2016, the videos are only available in Norwegian.